A weird crossroad of interests for me is classic computing and life in the DDR. Not sure anyone else here is nostalgic or interested in computing from the 70's and 80's. Found a great look at computer gaming in the DDR as revealed by Stasi documents. Keri and Pyat like this. The Robotron III was the first computer ever built entirely out of GDR produced parts, if I remember correctly. We must be on the same wavelength. Fiat 124 Spiders, Trabants and now Commodore computers. 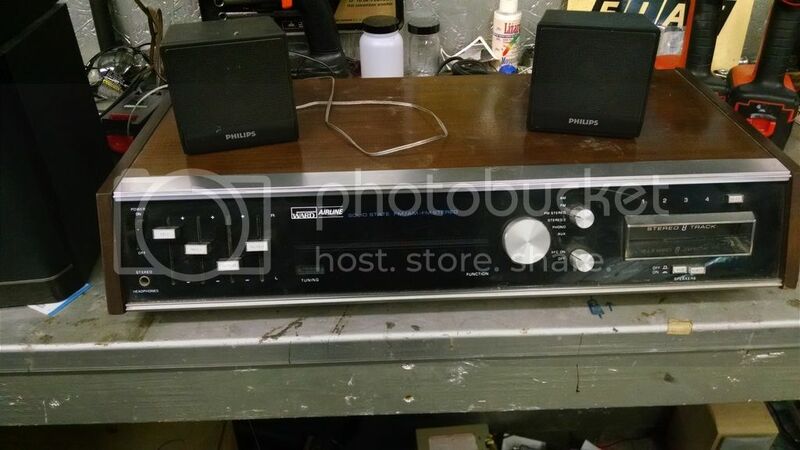 Don't tell me your into vintage stereos as well? I've got a collection of those. I was big into Commodores back in the 1980s. My first Commodore was a VIC-20 then I later got a Commodore 64. My father thought the computer was a toy. Well I did use it for gaming but it did give me a heads up on computer. I still have my old Commodores! They are boxed up but I plan on getting them out one day and setting them up in my den. My original C-64 crapped out from so much use. The amplifier in the sound chip must have went bad and some of my games started to crash. Three years later bought one of the new white "re-bodied" C-64s in 1989 when I was in college taking a basic programming class. Being the hoarder that I am, I still have that old C-64 with issues. This winter if it turns too cold to work out in my garage, I'd like gut that old C-64 and install a Raspberry Pi in it with Chrome operating system and the board that allows you the C-64 keyboard. Yeah, we had a C64 when I was a kid. It's was a game console to me. All I knew how to do was put a floppy disk in and type load"*",8,1 and play games. A modernized C64 would be a neat project. I like using the classic hardware, though. I'm currently playing with an Altair 8800 (clone). The Altair was a decade or so before my time and I'm amazed by the simplicity (I have a Trabant, can you tell I like things simple?). It's already too cold for playing with cars, so I'm back to computer projects. P.S. 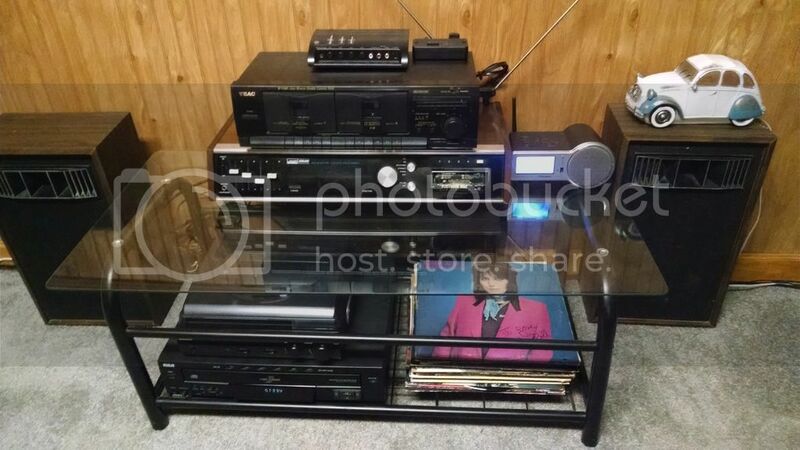 Nope, no vintage stereos. You lost me there. Although by virtue of just being something older, I do have my mother's college stereo system and bookshelf speakers. Woodgrain and chrome with lights inside for some reason. Really neat and still works fine. At one time I tried playing around with those C-64 emulator programs for the PC but never had much luck with it. One issue is trying to interface the Commodore floppy drive with the PC using a serial port. You have to use a PC serial port on one end and a DIN port and match the wires up. So you can load the software directly to the PC. Someone is now making an SD card reader for the C-64 that looks like a miniature C-64! And Ethernet cards for the Commodore to connect to the internet. I don't know why I have so many "Monkey Ward's" vintage stereos. They seem to pop up more often at thrift stores than other brands. 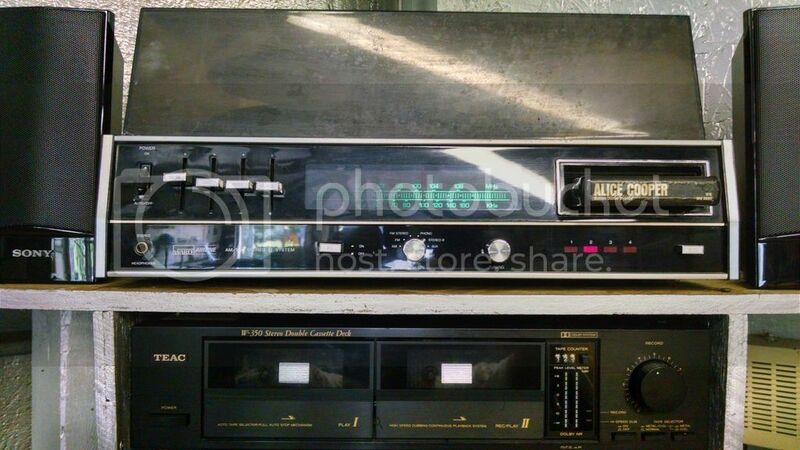 That's not the same TEAC dual cassette deck I have in my garage. 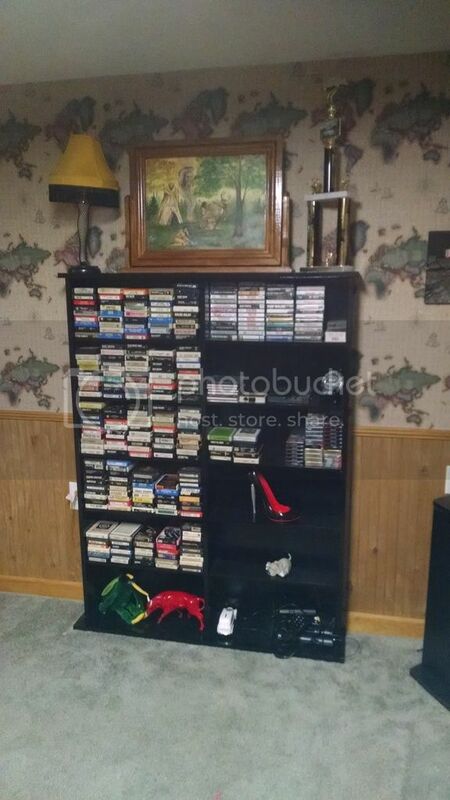 My collection of 8 tracks! After watching the video the conversion is not as simple as it seems, I was trying to figure out if you could also configure an ardurino. But to do what was done in the video you have to have access to a contemporary system with CAD or other program with 3D printer to make the installation brackets. I've never played video games, but this seems lie a lot of effort to play PacMan when other emulations can do that. Anyway, if you are into classic stereo system I have a professional Akai reel-to-reel that needs a new home. Yeah I got allot of emulators for the PC. I just thought it would be cool to turn an old C-64 into a PC. But not for games. Just looking up stuff on the internet when I'm out in the garage. However back in the 1980s, these computers other than PCs with a separate keyboard were not the most ergonomically correct keyboards to say the least. So it's more/less a novelty item. I've got one of those HP Chromeboxes running Google operating system right now. I don't normally play video games either like I used to. I got too many car projects going on!